Minimally invasive procedures including dermal fillers are becoming increasingly popular but it can be hard to figure out how exactly they work, what the different products do, and which option is best for you. Here's everything you need to know. Minimally invasive procedures including dermal fillers are becoming increasingly popular and accessible, but it can be hard to figure out exactly how they work, what all of the different products do, and which option is best to achieve the results you want. This guide will give you all of the information you need to understand the differences between hyaluronic acid fillers and collagen-based fillers, how long you can expect the results to last, and how each product achieves optimal results. A decrease in collagen is one of the biggest causes of fine lines and wrinkles and experts believe the breakdown begins when people are around 25 years old. Dermal fillers work by restoring lost volume to certain areas. They can also be used to enhance some areas such as lips or cheeks by adding volume in a controlled way. Types of Dermal Fillers Dermal fillers come in various forms and can be made from different ingredients to serve a variety of purposes. These are the most common types. Calcium Hydroxylapatite is similar to a mineral and is naturally found in human bones. The most common brand of CaHA filler is Radiesse® and is used for enhancing volume in the cheeks (and other areas of the face) and plumping frown lines and nasolabial folds (deep lines from the nose to mouth). The product is potentially suitable for vegans since it is made using biosynthetic processes and no animals or animal products are used in its production. Not only is this preferable for some people on an ethical basis, it can also reduce the chances of an allergic reaction. CaHA fillers are renowned for being safe, produce a natural-looking result, and were initially used in reconstructive surgery. Though they have a long history of safey, patients must still ensure that the person administering the product is properly trained and that the procedure takes place in a sterile medical setting. Depending on how fast your body metabolizes the product, CaHA fillers like Radiesse® should provide visible results for 12 to 24 months. It is common for results from your first filler procedure to last a little less time than subsequent procedures, but your practitioner will be able to give you an accurate estimate based on the condition of your skin, your lifestyle and other factors. HA fillers are extremely versatile. They can be used on fine lines and wrinkles on most areas of the face (including crow's feet, smile lines, and worry lines) and can also be used to treat a wide variety of skin complaints including some types of scarring and redefining lips. The substance is widely used in the medical profession and is the same product injected in the joints of those suffering with arthritis. The body produces HA naturally, but the formulations injected as fillers are extracted and processed before being used for cosmetic purposes. Most HA fillers are also infused with the numbing agent lidocaine which helps minimize the discomfort caused by the injection procedure as well as reducing pain afterward. Results from HA fillers are temporary and generally last between six and 12 months. That can be great if you’re unsure of whether or not you’ll like the results, but it also means you need to be aware of the potential financial commitment of keeping up the results. Poly-L-lactic Acid is a biodegradable synthetic substance that is safe for use in the body. It is used to make a range of medical devices including dissolvable stitches. It is classified as a collagen stimulator because the main role of the substance is to help your skin rebuild collagen on its own. The filler itself dissolves after a few days, but the results generated by the increased collagen production can last over two years. The treatment is usually carried out in several sessions because a single treatment may be insufficient to stimulate enough collagen to achieve the desired result. It is generally used for lips and deeper wrinkles like laughter lines and nasolabial folds. The most common brand of PLLA filler is Sculptra® and its ability to stimulate collagen production makes it unique. Also unlike other fillers, results take longer to show. The course of treatment is usually once a month for three months and, after the full treatment period, it can take up to six weeks for the full effects to be visible. It is, however, considered a semi-permanent solution, so unlike other forms of fillers that will definitely need topping up on a relatively regular basis, those receiving PLLA fillers can expect longer term results. Polymethylmethacrylate fillers are a semi-permanent solution used to treat medium-to-deep lines, wrinkles, and furrows. The most commonly used PMMA brand is Bellafill® and is used to treat nasolabial folds, pitted scars from acne, and lips. It is used for patients who are seeking a more permanent solution to their skin complaints, but it does take a fair number of injections to achieve the desired results. Your practitioner will likely use a method called threading in the dermal subcutaneous junction which should prevent any visible signs of the injections. However, the most significant drawback of PMMA over other filler products is the risk of the filler itself being visible under the skin. To avoid this, your practitioner will most likely use less product on your first treatment, which means you will not see the full results you are expecting immediately, but more product can be added at a later date. It is a good option for those who are looking for a permanent solution to signs of aging, but the process is somewhat more lengthy than other more temporary dermal fillers. What is Getting Dermal Fillers Like? An injection procedure is generally carried out after a consultation with a board certified dermatologist or cosmetic surgeon. During the consultation, the practitioner will not only discuss your skin concerns, but they will also look at how your face moves and your natural facial expressions to assess which treatment options are right for you. During the procedure, the practitioner may apply topical anaesthetic (numbing cream) to the areas that will be injected. Some practitioners may also inject local anaesthetic. If you are concerned about pain during the procedure, discuss this option with your provider during your consultation. They will then inject the filler below the skin with a needle or a catheter depending on the area and results desired. The procedure is quick and downtime is minimal. Some patients experience some bruising or swelling straight after the procedure, but it typically subsides after a couple of days. Results are generally seen immediately, but full results can be seen a few days after the procedure. The length of time that results will stay visible depends on a few factors including where the filler is injected, which product is used, and your own metabolism. Recovery from dermal filler injections generally takes up to a week and swelling and potential bruising are the two most common side effects. 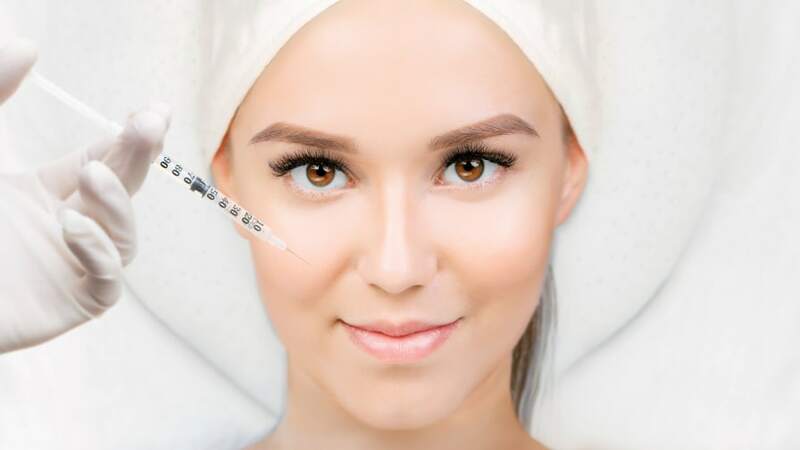 Your practitioner will explain any potential side effects specific to the injection site, but in general, dermal fillers are safe and effective. According to the American Society of Plastic Surgeons there are some more severe, but rare, side effects including allergic reactions and infection at the injection site which should be considered. There is also the potential for fillers to leave an asymmetrical result, but if they are injected by an experienced, board certified plastic surgeon or dermatologist these risks are minimal. On the whole, fillers are a popular and effective way to preserve a youthful appearance.